You will find a list of gate repair tips on this page that you can use for your gate maintenance. You will see what factors to consider before you install a new gate and how to protect it from elements and take care of ornamental iron gates. What should you check before you install a gate? 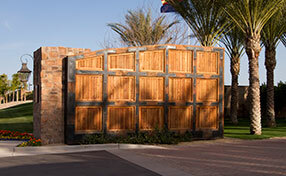 Frequently, building codes or HOA bylaws will have specific things to say about gates and fencing. These can vary from state to state, and understanding them can be very helpful. Before you get started on a new gate installation, Gate Repair Calabasas recommends that you check all applicable laws and regulations to determine what kind of gate you’re allowed to install, if any. Ornamental iron gates can be very stylish and look great as the entrance to your home. However, they require special attention and care. 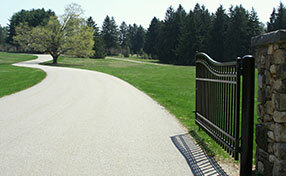 Make sure your ornamental iron gate is galvanized and powder coated. This will prevent corrosion, which can be a huge problem for iron gates. Many ornamental iron gates include a warranty, which can be very useful because they require frequent upkeep. Choose the right type of operator that is functional even in harsh winter. Check the drive belt for wear and tear and grease the hinges as this helps to prevent them from freezing. The inner gears should also be checked and greased. Use the operator frequently so that all the inner parts are flexible. Any type of outdoor electrical unit is likely to be attacked by pests, reptiles and rodents. Snails can easily destroy a circuit board while other pests can leave a moisture filled trail that can easily cause damage. Bird nests and ant hills can completely stop the circuit from functioning. Gate repair pros suggest homeowners to invest in high quality components that are resistant to pest intrusion that are found in the area. These types of circuit boards have a protective coating and come with secure enclosures. Your security in the gate entrance will be reinforced if you install a gate intercom system, get separate and multiple CCTV cameras with high resolution, and have keypads with personal and temporary codes. This way, you will know who is coming in but also who is going out. 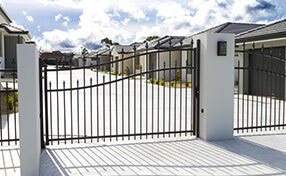 Older gates have no safety features like sliding or swing gate safety sensors that detect blockages along a gate’s way. These features cause the gate to reverse or stop to prevent accidents. 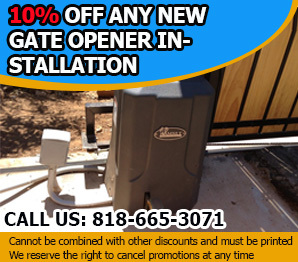 Our gate professionals in Calabasas say that it is always better to have these features, especially if you have a heavy steel gate.